Buildings representing a range of architectural styles from the eighteenth and nineteenth centuries line the streets of the Mount Holly Historic District, added to the National Register of Historic Places in 1973. Mount Holly’s proximity to the transportation hubs of Philadelphia and Camden, as well as its agricultural, canning, manufacturing, and textile industries, contributed to its economic success as a regional force by the onset of the nineteenth century. In addition its role in government as the county seat, Mount Holly developed a town center of small businesses, stores, and newspaper offices. 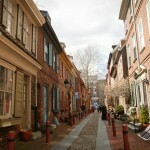 Often called the “Nation’s Oldest Residential Street,” Elfreth’s Alley has been a residential enclave for over three centuries. Time took its toll, however, and to revive a neighborhood that was gradually being abandoned, local resident Dolly Ottey helped to establish the Elfreth’s Alley Association in 1934. Through fundraising efforts that included educational tours, the Association was able to restore a number of homes in the alley. Historic districts have defined boundaries, and buildings are judged relevant based upon architectural type, construction date, or other criteria. 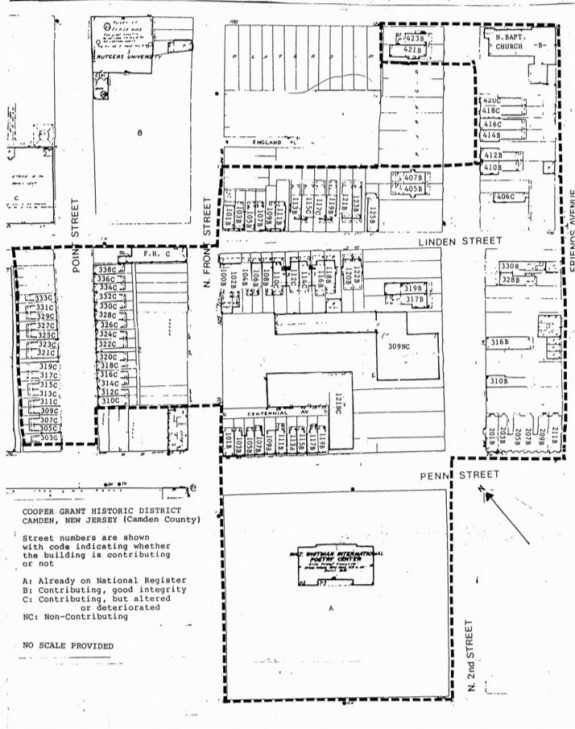 In this proposed map of the Cooper Grant Historic District in Camden, buildings have been designated as contributing or not contributing to the significance of the district. In the case of Cooper Grant, contributing structures were built between 1864 and 1930 in the following architectural styles: Second Empire, Italianate, and Gothic. For a property to be listed on the National Register of Historic Places, it must meet one of four criteria: (A) an association with events that have made significant contributions to the broad patterns of U.S. history; (B) association with the lives of significant persons from the past; (C) a distinctive example of an architectural style; or (D) sites that may yield information about U.S. history and prehistory. The New Castle Historic District in Delaware, nominated with the form excerpted, was identified as significant for its association with events that have shaped history and for the architectural styles of its buildings. In Camden, New Jersey, Cooper Street between Second and Seventh Streets is designated as a National Register Historic District based upon its architectural character and its representation of a broad pattern of American history, the transition of a neighborhood from residential and professional to predominantly commercial. Since that designation in 1989, shortly after this photograph was taken, much of the district experienced a further transition as Rutgers University converted a number of former homes into offices. In some cases, historic homes also have been torn down and replaced by dormitories, a county courthouse, and the right-of-way for the NJ Transit River Line. The nineteenth-century homes in this photograph include some of the predominant architectural styles on the street: Italianate and Greek Revival. The Greek Revival rowhome at 325 Cooper Street, built circa 1851, houses the Mid-Atlantic Regional Center for the Humanities (MARCH) at Rutgers-Camden and The Encyclopedia of Greater Philadelphia. In this photo, 325 Cooper Street is the white, three-story rowhouse in the foreground near the center. The structure has since been restored more closely to its original appearance. Continue to the next image in the gallery to see a photograph taken three decades later. Throughout the Philadelphia area, in communities large and small, concentrations of buildings, landscapes, and natural features that collectively reflect the region’s cultural and historical development have been documented and recognized as historic districts. Often described as areas where the “whole is greater than the sum of its parts,” historic districts have been at the core of modern historic preservation planning and policy in the United States since the mid-twentieth century. 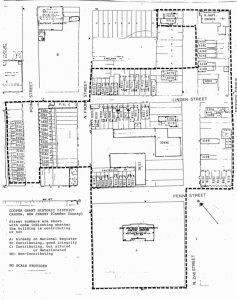 While the specific meaning of designation as a historic district depends on what body made the designation, these areas have encompassed thousands of homes, commercial and institutional buildings, and landscapes relating to significant periods or themes in economic, social, and architectural history. Historic districts emerged in the United States in the 1930s when Charleston, South Carolina, and New Orleans, Louisiana, passed local ordinances designating large areas of those cities as places of historical and architectural significance. On the federal level, historic districts first gained recognition under the National Historic Landmarks (NHL) program, authorized by the Historic Sites Act of 1935. Beginning in the early 1960s, a number of districts in the Philadelphia region received NHL status, including Elfreth’s Alley (1960), Brandywine Battlefield (1960), Colonial Germantown (1965), Washington’s Crossing (1961), Princeton Battlefield (1960), and the New Castle Historic District (1967). Some of these districts were initiated by historians at the National Park Service, while others were the result of community organizations seeking recognition for places that were at risk from disinvestment and increasing suburban development. These districts also earned listing in the National Register of Historic Places when it was created in 1966, because the Register included districts as one of the eligible property types. 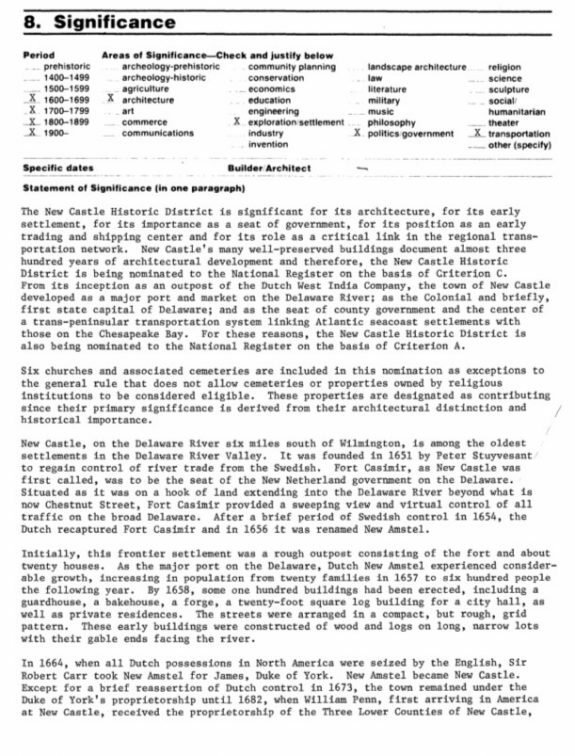 Over time the National Park Service developed guidelines for how to recognize, define, and document historic districts, and eventually dozens of districts in Pennsylvania, New Jersey, and Delaware encompassing several thousand buildings and significant cultural landscapes joined the National Register. Listing in the National Register or as an NHL served to raise awareness and generate pride in the history of these communities at a time when the United States was changing rapidly. National Register listing did not restrict private property owners from altering or demolishing properties in the districts, but did help to protect places such as Elfreth’s Alley from destruction related to construction of I-95. 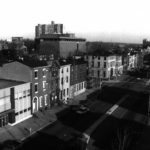 Over time, some of the Philadelphia’s most significant and iconic neighborhoods including Society Hill and Old City, Chestnut Hill, and Spruce Hill, became National Register Historic Districts as a result of efforts by community organizations. 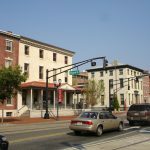 Many National Register districts in the city, especially in Center City and West Philadelphia, were initiated by the city and developers in an effort to make rehabilitation projects for historic buildings eligible for federal historic preservation tax credits. Beyond the city’s oldest and grandest residential neighborhoods, commercial areas such the South Broad Street corridor, landscapes such as FDR Park and Fairmount Park, and midcentury modern architecture such as Greenbelt Knoll in Northeast Philadelphia have been listed in the National Register. The Yorktown Historic District in North Philadelphia, significant as a mid-twentieth-century example of community planning to provide quality housing opportunities for African Americans, became a National Register Historic District in 2012. In southern New Jersey, many of Camden’s neighborhoods, including Cooper Grant in 1989, and South Camden in 1990, were listed in the National Register. These distinct neighborhoods illustrated a variety of housing types, from early twentieth-century middle-class residences to intact worker homes that housed the backbone of industrial New Jersey. Commercial corridors and residential neighborhoods in Collingswood, Haddonfield, Berlin, Burlington, Bridgeton, and many other communities throughout the state were designated historic districts, as were more rural neighborhoods, such as South Tuckahoe in Cape May County and Recklesstown (Village of Chesterfield) Historic District in Burlington County. 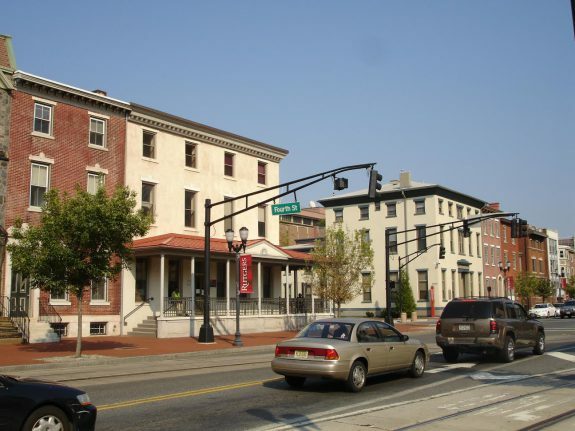 In Delaware, historic districts listed on the National Register included the duPont-era industrial resources and landscapes along the Brandywine River in New Castle County, small towns such as Odessa, Smyrna, and Delaware City, and a number of historic neighborhoods in Wilmington. Cities and municipalities have also designated historic districts through local ordinances. Unlike the National Register, local designations generally have required some form of review of alterations and demolition to buildings in the districts. 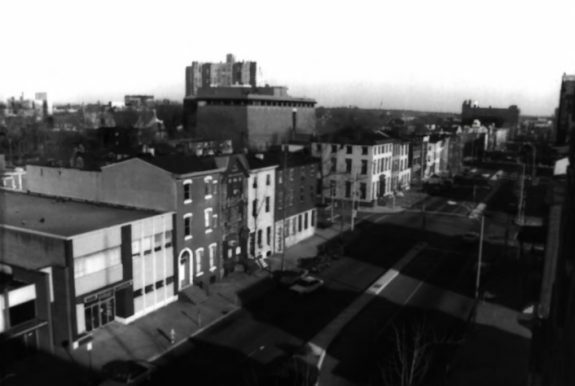 While Philadelphia’s historic preservation ordinance was enacted in 1955 under the Home Rule Charter, it did not include the authority to designated historic districts. Main Street in Manayunk was the first city historic district, but it was designated under special legislation intended to preserve the textile mills and commercial corridor around them during a time when the textile industry was struggling and the community was organizing to help revitalize the neighborhood. When the city’s preservation ordinance was overhauled in 1986 it included provisions for creating historic districts, and numerous neighborhoods, including Rittenhouse-Fitler Square, Old City, Girard Estates, Spring Garden, Awbury Arboretum, Diamond Street, and Parkside, among others, subsequently became designated as historic. 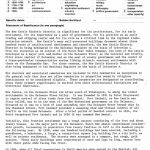 These designations put in place certain restrictions on how buildings could be altered or demolished in an effort to preserve the setting and context created by the concentration of older buildings. This was a conscious move away from prior preservation practice, which tended to focus only on individual buildings, especially the oldest and grandest properties or places associated with prominent individuals or events. 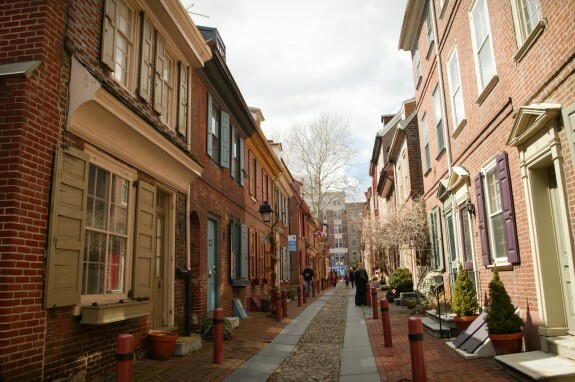 In 1961 the Pennsylvania legislature passed the Historic Districts Act, which gave cities, boroughs, and townships outside of Philadelphia the authority to designate historic districts in their communities. This law did not apply to Philadelphia because the home rule charter gave the city wide latitude to develop its own laws and policies related to land use and historic preservation. In the ensuing decades, Cheltenham Township, Doylestown, East Bradford Township, Lower Merion Township, Ridley Park, Wester Chester, and numerous other municipalities in Greater Philadelphia took advantage of this power. In New Jersey, the Municipal Land Use Law was amended in the 1980s to include specific authorization for local historic preservation ordinances, including districts, and municipalities throughout the southern part of the state, including Cape May, Haddonfield, Burlington City, Camden, Evesham Township, and Salem City, created local preservation programs and designated historic districts. 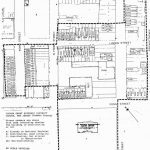 In Delaware, counties and independent municipalities have created locally designated historic districts in Wilmington, New Castle, Centreville, Christiana, and other smaller communities throughout New Castle County. Communities throughout Greater Philadelphia have designated historic districts to recognize and protect both urban neighborhoods and rural communities where the individual buildings and landscapes may not be individually unique, but when taken together reflect important aspects of the region’s historical and architectural heritage. These districts not only exemplify the region’s historical and architectural significance, but also encompass many of the area’s vital business centers and desirable residential neighborhoods. Bethke, Alexander. “This Old Alley: Memory, Preservation, and Conservation on Elfreth’s Alley.” Concept: An Interdisciplinary Journal of Graduate Studies Vol. 28 (2005). Gao, Di. “Historic Preservation in Legacy Cities: Preservation and Revitalization in Camden, New Jersey.” Thesis, University of Pennsylvania, 2014. Hamer, David. History in Urban Places: The Historic Districts of the United States. Columbus: The Ohio State University Press, 1998. Philadelphia Historical Commission Advisory Commission on Historic Buildings Records, Philadelphia City Archives, 3101 Market Street, Philadelphia. Historic American Buildings Survey/Historic American Engineering Record, Library of Congress, Washington, D.C.
Elfreth’s Alley, Second to Front Street between Arch and Race Streets, Philadelphia. Cooper Street Historic District, Cooper Street from Second to Seventh Streets, Camden, N.J.
New Castle Historic District, Main Street, New Castle, Del.